The June/July issue of AIM Magazine is available—and it's a great one! It's packed full of gorgeous, art-themed work of artisans as well as inspiration for art-themed projects! I submitted this tutorial and printables for a plein air printing set. 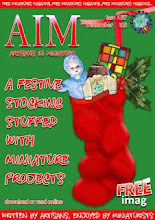 Please enjoy and don't forget to drop on over to AIM Magazine for more art-themed projects and inspiration! If you've already read the AIM tutorial and you're looking for the high resolution downloads of the artwork, here you go! 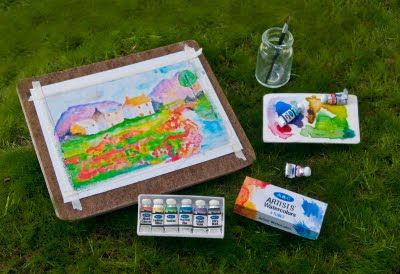 Plein air painting set. Click on image to enlarge. A note about printing: These items should be printed on your printer's highest quality setting. Spray the prints with a UV-blocking aerosol. Flattened and rolled tubes look "used". Using the side of your craft knife as a roller, flatten the lead wrapper from the wine bottle. fig. 2 Crimp end of tube. Cut the lead into 8mm x 8mm squares. 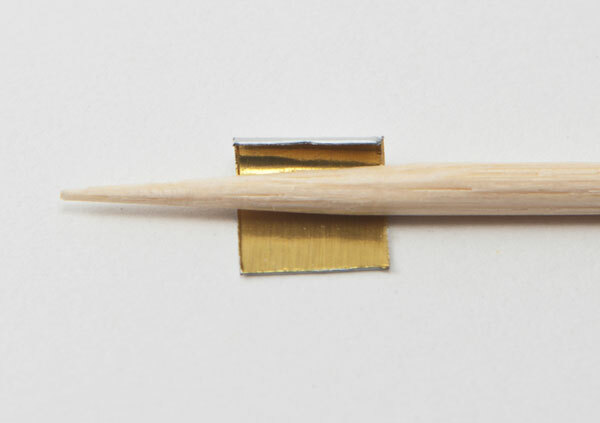 Roll the squares around the toothpick where the toothpick begins to taper (fig. 1). One end of the lead tube will be smaller. Crimp the smaller end of the tube with your tweezers to form the bottom seam of the paint tube. (fig. 2). Bend the top edges of the tube in slightly (fig. 3). Paint the seed beads, filling in the hole. Glue the beads to the tops of the tubes. Allow to dry thoroughly. Using your finger, lightly push the tubes flat along the bottom seams. Glue the trimmed labels around the tubes. Tubes can be rolled up with tweezers and paint applied to the tops to give them a used appearance. Trim the printed pieces. On the back of each piece, lightly score the fold lines. Fold each of the box sides flat. Bend them back to their final positions. Glue the tabs to the box sides. With the pencil, draw along the sides of the print to extend the edges of the sketch under the painting; draw the lines of the river, mountain, horizon, etc.— wherever the artist may have sketched before the tape was applied. Cut out the painting, leaving a 4mm white border. Cut a 55mm x 45mm rectangle from the notepad backing. Round the corners of the rectangle with the craft knife. Spray both sides of the rectangle with the wood tone floral stain. Cut 2mm wide strips of masking tape. Run a thin line of glue along the edge of the painting. Position the tape on the glue. Tear the ends of the tape. Allow to dry. Using your markers, “paint” the edges of the tape around the painting to simulate the watercolor washes on top of the masking tape. 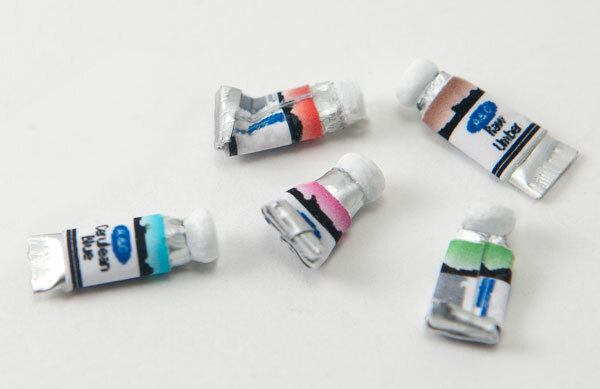 A light gray marker works well to simulate the wash effect on top of the brighter colors. If you do not have a suitable shaped plate or finding for the palette, one can be made from cardstock. Cut a 25mm x 15mm rectangle from the cardstock. Cut rounded edges, if desired. Lay the rectangle onto a mouse pad. 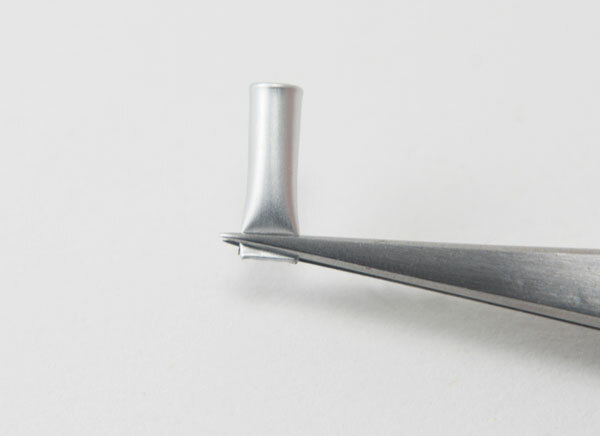 Create a 2mm indented edge around the rectangle using your ball stylus tool. Round the edge at the corners. Turn the rectangle over and rub over the creases to indent the edge more. 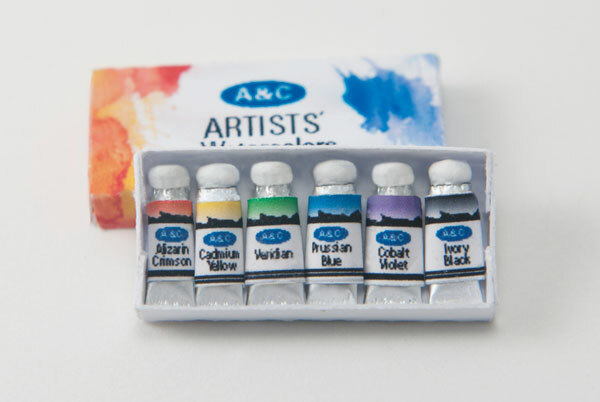 When satisfied with the results, add paint daubs to your palette using thinned acrylic paints in various colors. When dry, coat with clear fingernail polish. Great tutorial! Thank you Carol. Absolutely incredible! thank you so much for sharing this! Thanks Carol! For the longest time, I've been wanting to make an artist's attic studio and the paints to go along with that. I now have the drive to attempt it though I honestly don't exactly know where I will squeeze in the time. Maybe I'll just make the little paint tubes.... You are so clever with your computer graphic skills. Mine are abysmal. BTW... I was only able to comment here by unclicking "stay signed in" on the log-in prompt. (I was already signed in but prompted to do so again as a result of Blogger's recent "issues"). You might want to consider changing you comment setting to full page. That seems to get around the current Blogger problem with the imbedded comment box. Just a thought. Thank you for your comments and for the heads up about the commenting issue! What an awesome blog! I'm adding it to my blog's miniature recommended readings, so my readers can enjoy it too! This is AWESOME Carol, thank you so much!! I've got a few things I bought to start doing an artist's studio but I like these much more. I especially love the paint tubes. I haven't caught up with the new AIM magazine yet but I will do today. Thanks again!